You all know I am a really big fan of saving money at all times, mostly because I have been living off my Visa and am worried that soon I will reach my limit and then I will have no back up plan for life. Although, I did have a conversation the other day with some friends at how impossible it is to get a bursary for life. Really not fair that students get them all. 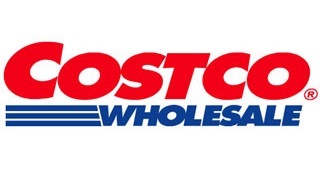 Last week we borrowed my MIL's Costco card to go on a giant shopping spree. Today we decided to take advantage of the card and head out in the Sunday afternoon madness to do some shopping. We grabbed a giant cart and started filling it up - 80 rolls of toilet paper, laundry detergent so heavy I could barely lift it, enough cookies to last me at least 3 days, the usual from a trip to Costco. We got to the check out and looked in our cart at our goodies and realized we weren't that excited to be spending $300 on large amounts of mundane items. Sure, they were all things we needed and would eventually use. Yes, the prices were good, some better even than Walmart. But, really? For $300 we could come up with something really fun to do, or at least buy myself the cutest little party dress I've been eyeing at RW. They start scanning our items, Husband hands over the card. They ask for ID. We fumble for a minute, not sure what to do. Herm tells them it's his Mom's card, we've used it before, can we do it just this once? No. It is a definite no. No from the cashier. No from the superviser. Just no. Fine. Feeling surprisingly good about wasting an hour of our lives looking at extra large cans of ketchup and giant bags of chip, we leave. Leave the full cart for them to unload and walk out into the sunset. Overall, it felt like a successful trip. We had the experience, we didn't have to pay anything, and we got home and had nothing to unload from the car.